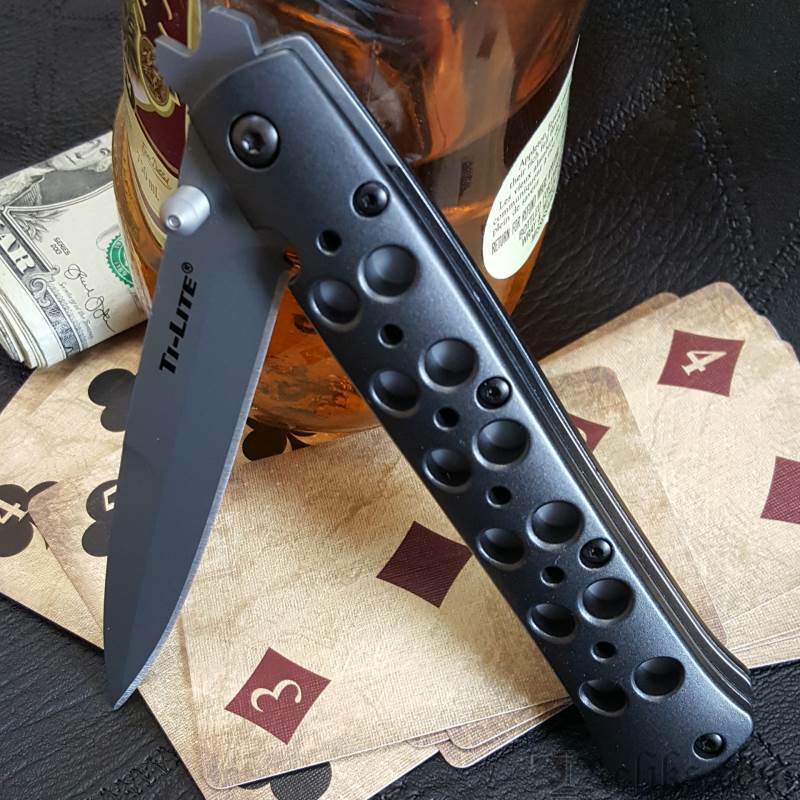 Cold Steel Ti Lite - Unlike most switchblades however, the Cold Steel Ti-Lites are legal to carry nearly everywhere. 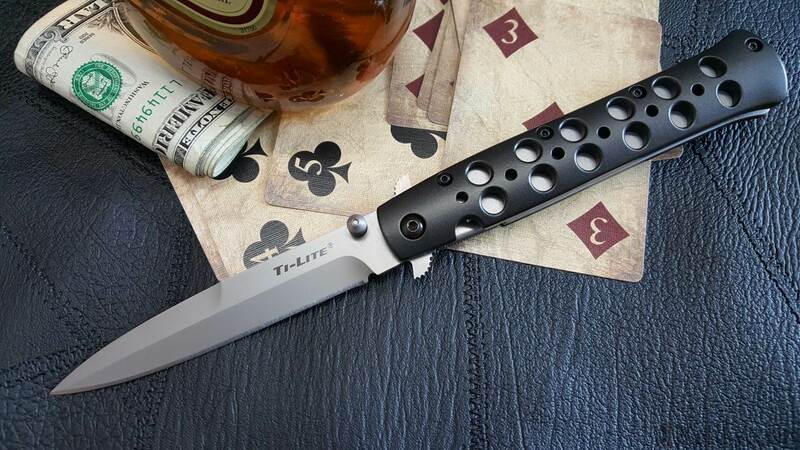 Ti Lite Knife - Cold Steel’s Ti-Lite folding knives evoke the sleek speed and rebellious lines of the classic 1950’s switchblade. 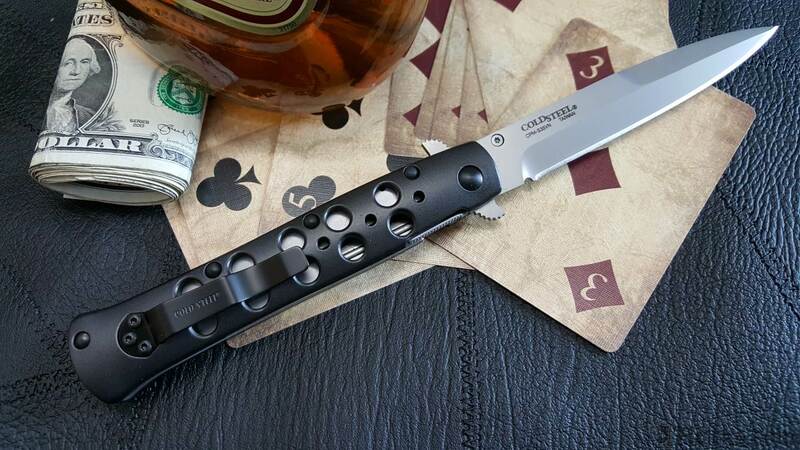 Folding Ti Lite Knife - For ease of carry, the Ti-Lites come equipped with a small, but unobtrusive steel pocket clip, and can be opened rapidly by using the thumb studs or by snagging a quillon on the edge of your pocket as you draw your knife out. 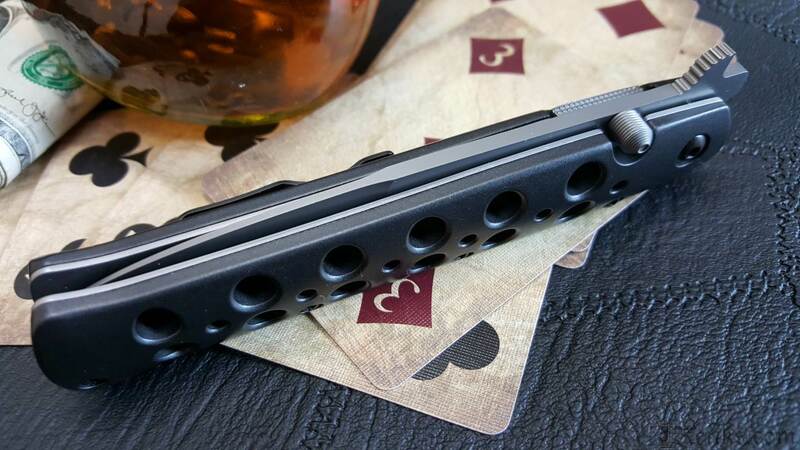 Aluminum Handle Ti Lite - They feature sharp and strong bead-blasted CPM-S35VN Alloy blades, and CNC milled 7075 Aluminum handles which are finished with a protective EDP (Electric Discharge Plating) coating. 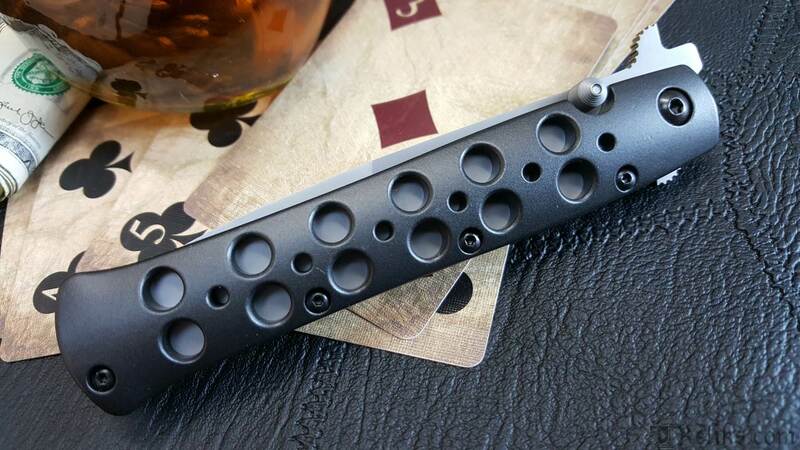 Cold Steel Ti Lite Series - The Ti-Lites are equipped with our patent pending, stainless steel leaf spring locks (proven, in our tests, to hold upwards of 145lbs).